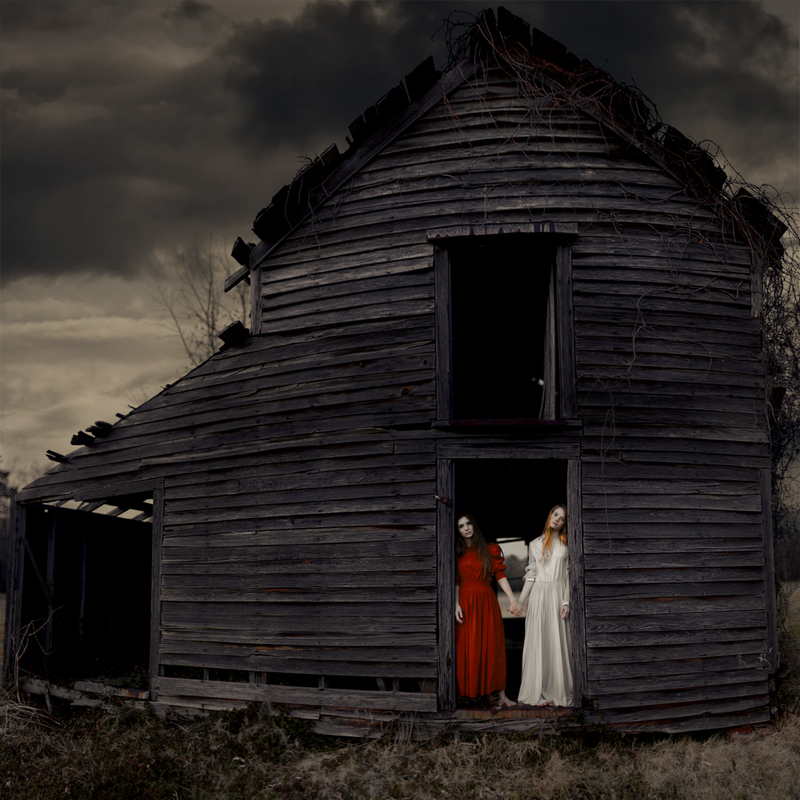 The environmental landscapes of Masha Sardari are inhabited by waif-like women who are posed like ghosts caught in a sidelong glance, a snapshot glimpsed only in the dusk of the subconscious mind. 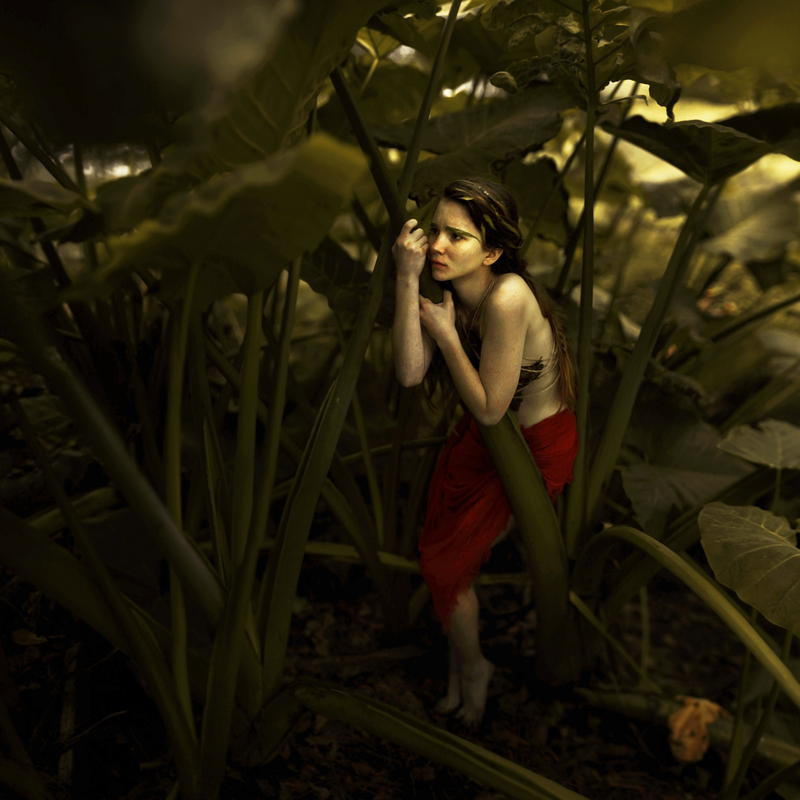 An otherwise familiar realm of flora and fauna is seamlessly merged with a unique approach to rendering the female form; all anchored by narratives that touch on fairy tales and the darker emotional dominions of the human experience. In these darkly-tinted images, the effect is visceral and immediate, placing the viewer in an ambiguous position. Are we a witness or intruder? Combining her innate sense of imagination with a solid use of digital photography methods, the work of Sardari reads like a story that can be as directly provocative as it is freely encouraging of interpretation by the audience. While still in her late teens, the self-taught Sardari has already been featured in media outlets such as Juxtapoz Magazine, Visual News, and was most recently featured in a Kid’s TEDTalk held in Dallas, Texas last year. Sardari I agreed to speak with Starehouse on the evening of Wednesday, Feb. 27. Below is a transcription of highlights from our conversation. Starehouse: First off, congratulations on being featured in a TED Talk. How did that come about? 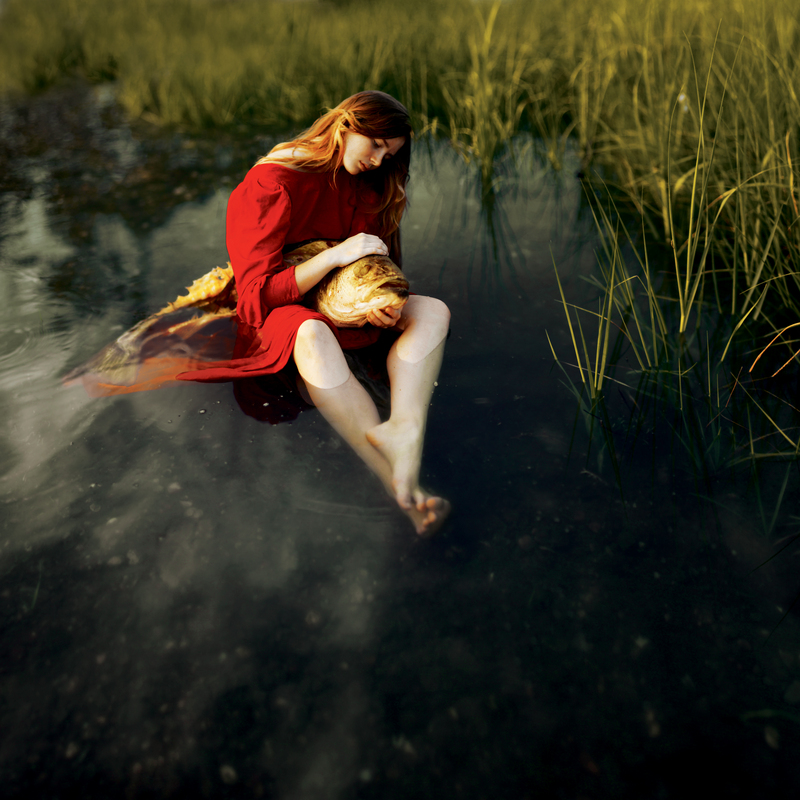 Masha Sardari: Well, the organizer actually contacted me after seeing my work on a website called The Visual News. And she actually thought it was spam and she doesn’t usually open those e-mails and ignored them most of the time and for some reason she decided to open the one that I was featured in. And that’s how she discovered my work. So she was interested and e-mailed me and asked me if I would be cool with coming out to Texas and being part of a talk for the kids’ TED talk. S: Awesome. Did they also help you get out there or was it just an open invitation and you had to figure out how to get there? M.S. : No, they actually funded everything; they paid for the hotel and the ticket. S: Fantastic. Now this was in November of last year? S: In the talk [Sardari is featured here roughly between 3:36:40-3:42:10], you mention other forms of art that you pursued before kind of finding your niche in photography; you mention everything from painting and sketching to playing music and even running. But what do you think was the ultimate thing that kind of pulled you towards photography? M.S. : I think it was that I was always interested in art and I always wanted to be involved with it, buy I never really had enough time to devote to it – or even thought about devoting that time to it. But it wasn’t until a couple years ago when I found a camera at our house. It was one of those ridiculous mega pixels ones that everybody has (laughs) but I had never really messed with it before. So I decided to go outside and see what it could do. I was pretty intrigued by it but then I kind of put it aside and forgot about it. But my mom noticed that I had an interest in it so she decided to see if she could push me to develop that interest a little more. So really it’s thanks to her that I got into it. S: Now is she an artist as well or creatively-minded? M.S. : No, she’s not at all (laughs). She works in accounting so I think it’s the furthest from her mind! S: Right, right … but hey, she’s got discerning taste! Her intuition about your skills was correct. S: So you’re in Ponte Vedra Beach? M.S. : Yeah and I go to high school here. S: How old are you now? S: I’m curious about your origins. On your Flickr account, it says you are from “Jura a village in” – and forgive me if I pronounce all of these incorrectly (laughs) – Transnistria” which is in Moldova. I guess I’m wondering when you moved here and how did you wind up in Northeast Florida? M.S. : Well, I was born in Moldova, which is an Eastern European country and it’s very small and poor, and when I was around five years old my Mom had an opportunity to move to the U.S. to work here as an immigrant worker. And after a year of having a visa to work here, she really liked it so she decided to see if she could get my entire family to move here. Meanwhile, I was living in the capital city of Moldova, called Chisinau, and I lived there with my Grandma and went to school. And my mom applied for a green card and in 2006 they approved it and then I was actually allowed to move here and finally see her because that entire time I hadn’t seen her, from when I was five years old until I was 12. S: I know that Moldova formed after the fall of the Soviet Union and there’s been some unrest there but I’m sure there’s an interesting culture there like any other place. What are some of your more resonant memories of your childhood there? M.S. : That’s where a lot of my art is related to: just my experiences as a child in the villages because it was very a rural lifestyle and we had cows and farm animals, land that we farmed and a country house. We lived right by the river and there was a giant forest. It was just my experiences as a kid; all I knew was nature. I wasn’t exposed to the modern day things that everybody else, especially in the industrialized countries, was exposed to. So that’s all I was connected to and I would be outside from morning ‘til night (laughs) my Mom would have to call me to come inside. S: Right, you were like a country kid. S: Did you ever feel any kind of longing to go to big cities or did you even care? M.S. : I was pretty young so it was basically all I knew. S: And this explains why you use nature so much in your images and some of them are overtly based on fairy tales, like the newer series. But I’m wondering too if any of that might have come from stories or the oral traditions of your homeland. M.S. : Oh yeah. I’m really intrigued by that. I’m actually reading the original Grimms’ Fairy Tales; I want to read the real stories and not the fun, Disney-type (laughs) versions! Nobody gets rolled down a hill in a barrel! S: Right. They’re pretty dark and intense stories. M.S. : Yeah. I have a distinct memory from when I was little and I wouldn’t go to bed. We had this forest that was across the river and a mountain-type hill, and I think my Dad would talk about wolves living there and I was always terrified of that. S: Yeah. When I was a kid and was bad, my Grandma used to say that the devil was going to come get me in a wisp of blue smoke. There’s one to grow on. S: Yeah! “Sweet dreams and good night!” And I would lay there in terror waiting for the devil to show up (…) I want to go back to the talk where you say that you wanted to find something where you could express yourself without words. You say you were shy as a child but in that talk you speak really eloquently and with a kind of humble authority on what you’re doing. S: But do you think it was shyness that led you to this? You didn’t pick singing or spoken word or poetry which is verbal; you still picked this nonverbal expression. Do you think that choice was based on shyness? M.S. : I think it was part of that because as a child I was always by myself and in nature. I had a couple of friends but most of the time it was kind of a solitary lifestyle. So I wasn’t used to being around a lot of people and having to communicate with them. So when I moved to the city, it was pretty tough for me because I was used to knowing just a small group of people and being comfortable with them. So when I moved, my Grandma tried to get me to be more social so she pushed me to go and start dancing. And I didn’t agree for a couple of years before I finally decided to try it because I was terrified of going into a huge group of people and having to interact with all of them. And so I kind of needed some sort of way to ease myself into it and that’s how dance helped me with that. Because it was a social thing and at the same time I had to feel it internally and use the movements to tell stories; whenever we did any dances they were based on some sort of story and trying to convey that to an audience. That’s what got me used to using forms other than language to express myself. So it was only natural for me to move on to something else that worked in the same way. And that’s why I chose art. S: I guess to a large degree, dancing and now photography brought you out of that shyness. I mean, you just spoke in front of thousands in person and technically millions of people online at the TED talk! M.S. : (laughs) Yeah, but I was terrified the entire time! S: Were you? I would be equally terrified. M.S. : That was one of the toughest things I’ve ever had to do. I don’t even remember everything that I said when I got up there. I just remember bright lights and a lot of people, me just saying something, and then leaving (laughs). S: You did well though. S: During the talk you are showing slides of your work and you talk about kind of the painterly influence on your photography. And I think your work surely has a sense of that, the approach of a painter. Who do you think are some of the painters that have had the greatest influence on what you do? M.S. : I actually started photography before I even knew that much about all of these painters. So at first it was kind of experimental and last year I actually took an art history course at my school and I got to actually go through all of the art that I had basically resisted before (laughs) and I was really drawn towards Renaissance and Baroque artists like Caravaggio. I really like his art since it is really dark and psychological and that’s kind of what I like. And I like the intensity of Peter Paul Rubens and he definitely uses a lot of reds in his work, too. And I do, especially in my latest series where I’m trying to connect it with that red color. Actually, when I edit now I pull up some of the paintings he [Rubens] has done and just draw the colors out of that to influence what I’m making. S: Right. Are you seeing more and more that you’re becoming aware of this? It is like “water seeks its own level” in the sense that you are finding these like-minded artists and things. I guess I am wondering since in visual arts people will kind of, uh, honor the masters by recreating poses or reinterpreting something, like a placement in composition. Have you explored anything like that in your work? M.S. : Yeah, I have done a piece called “decaying venus” that was inspired by a painting by Agnolo Bronzino called “Venus, Cupid, Folly, and Time.” I was intrigued by the shape of her body. 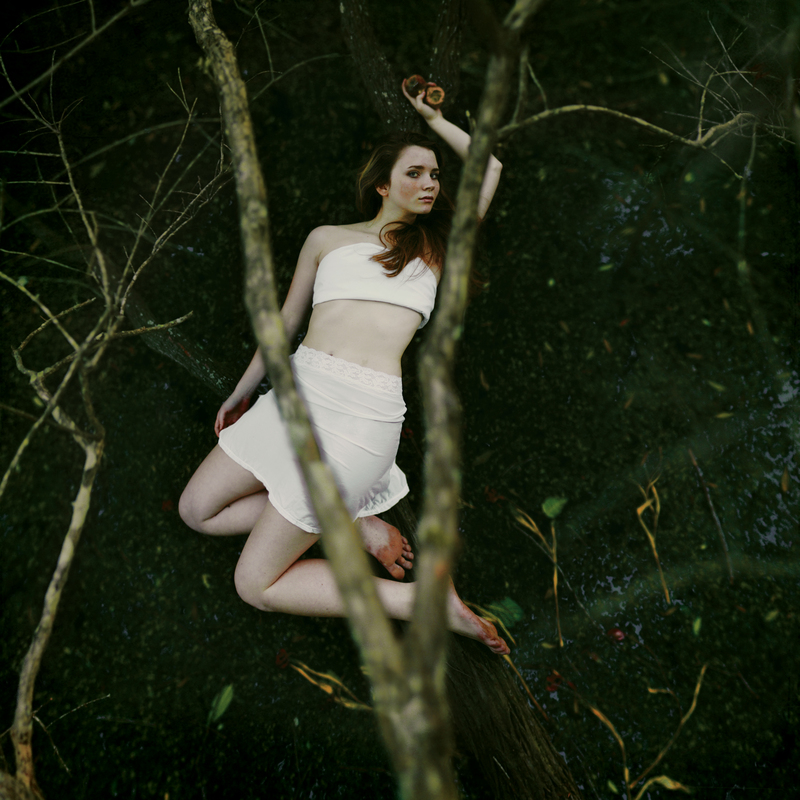 I took it from above and the model is lying on a branch and she’s holding apples in her hand. S: So there are things like Renaissance paintings and Rubens that you identify with. I think your work also has a quality that wouldn’t be out of place in Symbolism. Have you ever checked out any Symbolist art or were aware of it? M.S. : No. What time period is that? S: Like 19th century. You can say no. I don’t want to misdirect you and taint your skills! S: Your first project was the 365 days thing on Flickr and it seems out of the gate the whole vibe was fairly dark and you used the word “psychological.” And when you did the 52 Weeks series and had more time to kind of think about this and ruminate, the subject matter is just increasingly dark. Why do you think that is? M.S. : I don’t know. I’m naturally a really bright person and people are shocked when they meet me and that my art doesn’t really match my personality. But I feel like it’s an outlet for me and that’s why I am a happy person otherwise. Because I am able to express anything that bothers me emotionally and I can fuel that into my art. And at the same time I really like how darker emotions have more weight to them and they create mystery and all of these stories that make you think. Likewise, happy things are kind of superficial and don’t make you think too much. You see a bright photo and you smile maybe but that’s where it ends. You don’t have that state of mind for too long and then you move on to something else. M.S. : But when it’s darker stuff, I really try to make connections with people that way, where they may be able to relate to it somehow. Because everyone has struggled in life, for whatever reason; when they see a piece of art, maybe they’ll remember that and relate to it in somehow. S: Absolutely. I agree and it’s profound that things like depression and loss will always be universal. When I look at something of yours like the “No Human Contact” series, I get a sense that these young women might have been somehow abandoned and then at the same time I feel like I am almost intruding on their world (laughs). Does that make sense? I guess I’m wondering what your impetus is behind that. I know you use things like nature and fairy tales but I guess I’m wondering how you create a narrative. Are you going for just a profound image or are you trying to tell us an overt story? M.S. : Well a lot of my ideas come subconsciously. I don’t always sit for hours and try to come up with something to do. I usually get this image in my head and I know that I have to create it. It usually happens when I’m just hanging around or about to fall asleep and I have to get up and write it down just to remember what I imagined. And I don’t really don’t know where it comes from. But after creating the image I think about it more and make connections and realize things. It’s all specific to each photo but sometimes I can understand why I came up with something. Sometimes it is life experiences I had and other times it is things that have influenced me, even when other people have told me how they had experienced something. So it could even come from outside sources. Otherwise, I like to focus on one person and highlight that person. And even though it’s not what they are experiencing in real life, and they are playing a role and really acting, it is kind of a representation of other people in my life or of myself that I put into it. So that’s kind of the narrative build-up is about. S: In the “Three hundred and sixty five” series, you were your own model and subject. And I noticed in many or your images you use the same environments, like the woods or nature, the same colors like the reds and even the same models. What’s the advantage of using models in your work instead of just posing yourself? M.S. : A lot of it is about a variety of appearances, so just like when you would pick an actor for a role, you’d want them to fit that role. You have an image in your head of how you’d want them to act. And it’s the same way with my work, where I want them to fit that role that I imagined. And it is not always myself. It’s more convenient to use someone else because I have more control over how they’re positioned or what they’re wearing and even how their hair might look. But when I am by myself I have to double-check and constantly run back and see how it looks on my camera. Sometimes I can’t always convey exactly what I want the model to do. They’re not in my mind so they can’t see it like I see it. So I have to sit down and explain what I want from them. That’s why I try to use the same model most of the time because I have built a relationship with her and we are good friends and she knows me. S: And she does this well, too. It seems like she is a good vehicle for your ideas. M.S. : Yeah, definitely. I don’t have to give her too much direction. S: And her name is Bethany Rand? M.S. : Yeah, she goes to UNF. S: – so she is pretty agreeable to take direction like “Sit in the water and hold this dead fish!” She’s a good sport about this. M.S. : (laughs) Yeah, that’s a pretty funny story since I went to New York City, to the Hamptons, and Bethany came to visit me so she just decided to come out for the weekend and meet my family and spend some time there. I knew I wanted to do some kind of shoots while we were out there because it is so beautiful and natural. And I didn’t know exactly what I wanted to do and then I saw this dead fish on the side of the road and I (laughs) knew for sure that I had to somehow use it. M.S. : (laughs) Yeah! I can’t miss an opportunity. M.S. : And Bethany knows me pretty well, so when she saw it (laughs) she knew exactly what was going to happen. S: Right, and she now probably tries to keep road kill away from you as much as possible. S: How much of your work is shot here, locally? I know that you use Photoshop to edit, but do you shoot mostly in this area, since there are a lot of natural environments to work in? M.S. : Yeah, basically except for a few instances, most of it is done here. That one fish photo is in New York and usually I shoot in Long Island, here, or in Moldova. That’s basically the only places I’ve ever done anything in. S: So you still go back to Moldova fairly regularly? M.S. : Yeah, I do periodically and I’m hoping this summer that I’ll get to go again; because the nature is really beautiful there. S: I want to talk about this because you’re only 18 but you’ve done a lot in a short time. So you started taking pictures in 2010; that’s when you first picked up the camera, right? S: In such a short time you’ve really pushed yourself technically, because you are essentially self-taught – which is great. But then even physically, where you did the underwater image of “a still storm,” you pushed yourself. What do you think drives you? It seems like you are really self-driven to do this. M.S. : I think it’s always been within me, it just never got realized. I have periods of time where I can’t shoot for whatever reasons. Maybe my model is busy or I’m swamped with stuff from school and I don’t have time. But for some reason I have this physical and emotional need where I have to go out and shoot and create something. And sometimes if I go for two to three weeks without doing this, I’m almost like someone addicted to drugs or something (laughs) and I realize I have to do this. S: Sure. Art stabilizes mood. I understand. M.S. : Right. And I don’t imagine myself ever stopping, because it is such a huge part of me. And I don’t know else I would cope with life if I didn’t have this outlet. After I did the “Three hundred and sixty five” series, it was actually hard to slow down because I was so used to shooting something every day and then editing it really quickly to post it online. So I tried to ease myself out of by doing the “52 weeks” series so I wouldn’t be completely lost or stranded and not have a direction to go. Now I’m doing an average of one piece a month. Like the “Fairytale Series” is actually for a school project that I’m doing and I have to create 12 pieces by the end of April and it has actually gotten pretty stressful (laughs) because I am so used to only doing one piece a month. But I really enjoy it because I get to shoot more often. S: But you have done so much in such a short time, have you learned any hard or humbling lessons on your own limits and exerting yourself too much at once in such a way? M.S. : I think that it’s important to experiment and that’s why I’ve learned this way. I don’t think I actually know as much (laughs) as you think I do! S: Well, that’s alright. 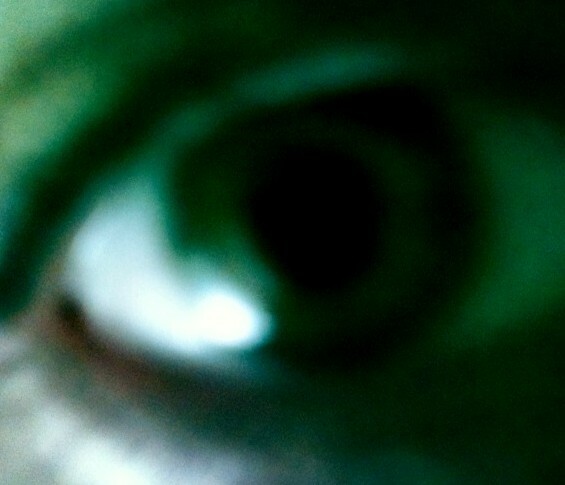 You present the illusion in the same way (laughs) that I am barely a writer! Fake it ‘til you make it! M.S. : (laughs) It might appear that I’m technically knowledgeable but when I edit, it is very simple. I stitch them together and basically take different pieces from the frame and put them together in Photoshop to create the entire photograph. S: Keeping in mind that I am completely ignorant of all photography, can I ask about what kind of equipment that you use? M.S. : I started out with a semi-professional camera: it was a Canon PowerShot SX10; it didn’t have interchangeable lenses or anything and was pretty simple. And then I worked with a Canon Rebel. And now, luckily, I never thought I’d be able to afford a nice, quality camera because I don’t work right now, but luckily I was able to sell enough artwork to purchase the one I own now, and it’s a Canon 5D Mk II. And it’s a full format so it’s a better level but not really one of those hi tech ones they would use for magazine shoots, but it does the job really well. S: You mentioned selling work. You have a large following on both Facebook, Flickr, have been featured on a TED Talk and even had a picture on Times Square. Have you had any local exposure or gallery representation? M.S. : No, I have not. I’ve been on the search (laughs) but not yet. M.S. : (laughs) No, no. I think I’m a little bit frustrated because I think that some of the galleries here are looking more for traditional art and so they’re used to maybe selling more traditional, kind of tourist-based ideas of what some art in Florida might be. It’s pretty difficult to have them take a chance on a new, young artist. S: Well, there are some sharper places around here that might show your stuff. You have a good sense of what you are doing and want to do. And don’t take this the wrong way, but you’re 18 years old for God sake, so give yourself a break. S: But the work has a professional look where it could be a fashion shoot, but it looks like a fashion shoot from Grimms’ Fairy Tales. Not that you would even have to choose, but I am curious if you have any inclinations towards working as a commercial artist or would you rather be presented purely as a fine arts photographer? M.S. : I think as long as I get to do what I love and stay true to who I am and show the ideas I want to show, I would be okay with doing commercial work. I wouldn’t really deviate too much from my core style. So only if I was able to somehow flip the fine arts into that place of commercial art. Otherwise, I’d just want to stick with what I am doing because I feel like this is the truest representation of who I am. 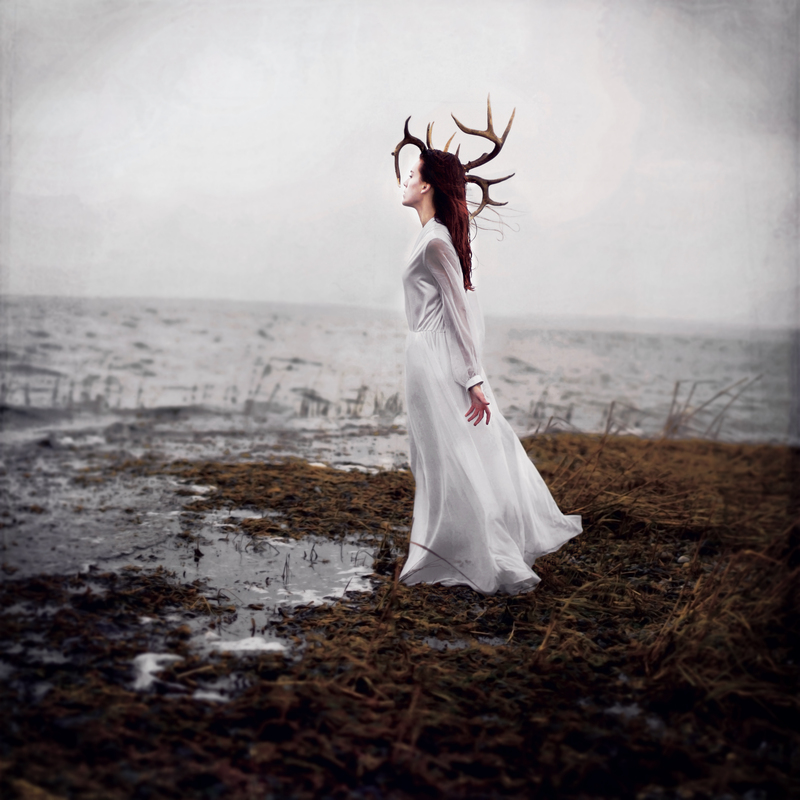 This entry was posted in art and tagged Masha Sardari on February 28, 2013 by starehouse.